How to make a private call? How to call private? It’s one of the questions asked by most people who want to hide their number, call or identity for whatever reason and can thus make a hidden call to another person. Often we don’t want people to recognize us if we are a company or we are selling something, so they won’t return our calls they didn’t take at first or that they take it because we raise doubts regarding the caller ID. If they could see through the phone who is calling, in many cases they wouldn’t take the call because they would recognize the advertiser’s number and it would be much more complicated. It is frustrating to need to know who is calling and not having a clue. That is why many companies that want to sell us some product use these techniques, so that we do not know them and answer the call. In many cases it’s simply requested or needed to preserve the caller’s anonymity and the phone number, and oddly enough a lot of people have this request going through their head, so with these tricks you can call anywhere privately to your contacts without increasing your rates as you will be able to see. If you give us a LIKE or share the post in one of the social networks at the end of the article, to thank you we will send you tricks and hidden secrets in Apple and IOS 11 and before smartphones. The first way is the best if we want our number to be blocked whenever we make a call. Is the best way in order to mobiles phone number appear private in seconds. What we have to do is call our phone provider and tell them that we always want hidden mode calls for that phone number. The problem is that in some cases they will put objections to make this kind of calls as it’s something that is not common and they can say no. What I recommend you to do is to call several times to get an operator that allows you to do so. And as you can imagine is impossible to be detected the other way round, because knowing or finding out your private number cannot be done. This service that you can use to block your identity must be free. This is the best caller id blocking, it is cheap, fast and easy. Second method to learn how to put a private number on a terminal. Okay that’s fine, but how can I call with a private number if after much insisting on this my phone provider doesn’t allow me to do it? If this has happened to you or you simply want to call anonymously some time I propose a trick that works well in most countries that is as easy as dialing a prefix before the recipient’s number. You’ll know how to dial without my number appears or that unknown phone number appears. The person you’re calling will see the incoming call is from a “private number calling” and won’t know who you are until they pick up the phone. Then number will appear private for sure. Free and fast is to learn How to make a private call. – Make cell phone private number calling from a landline in Spain you have to dial 067 before your recipient’s number. – Private number calling from a cellphone you have to enter # 31 # before your recipient’s number. This is what you must do to learn how to make private calls. The last method on how to put your number as private is valid for some smartphone types and is about changing the setting of outgoing calls. To make a hidden call you should go to setup and go to the “hide ID” section that almost all modern cellphones have. When you access it you must select the option and restart the phone. Then make a test calling to another phone number that you have close and ready. This method to make a private call on a cellphone works for any operating system, either Android or Windows Phone, its software is different and it doesn’t matter whether is in Spanish or English, because the option can be done and the caller will never be discovered. How to call private was never so easy thanks to these recommendations. Even with Skype (which you can download from the Internet only by creating a free account) you can call to cellphones and change the identity you want to show. How to make a private call on iPhones? It is very easy, yuou have to go to Settings and then select Phone. In this screen you have the option “Show My Caller ID”, select no and it is!. If you hace a Windows Phone 8 mobile, the sequence is very easy. Go to the dialler and then settings, untick “Show My Caller ID”. It is not difficult at all. The last one, Blackberry devices. The path is similar to the other OS. Go to the phone dialler screen and select settings icon. Switch “Show my number” to off. Google Voice is a revolutionary app that gives you a free phone number for make calls and send text messages. The best feature is it works phones and computers so you can use whatever device you need in each moment. For us the best app is Block Calls & Caller ID. You can find it in the next link for free. One of the best improvements is that the application will stop all scammers calling your phone number. The app updates its scam database every 24 hours to be prepared to avoid dangerous scams. The second best feature is the identification of incoming calls – This awesome app shows the caller name and number in order to know who is calling for dont bothering you if not important. additional category information (Telemarketing, Collections, etc.). Block caller id provides a lot of information about the caller to know who are you talking with exactly. Finally we have to talk about the option “Block categories”. With this feature you can block a specific category of calls so you do not be bothered by stores, companies or advertising. Without doubt with these five free applications you will be able to improve the quality of your calls hidding your caller id. 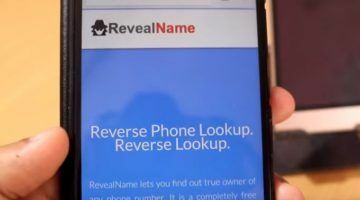 In addition to hiding your number there are many more possibilities that you can do with your cellphone, like the iPhone for example. There are many useful security applications. For example if you look for them in the Apple Store you’ll notice some application to hide photos and they can be seen only by yourself anytime you want. In addition you can also download an application to hide applications you don’t want others to see without your consent. I hope these tricks that I have presented will help you to know how to make a private call and preserve your identity quickly and safely. From now on you will know how to call with a private number from cellphone and landline phone wherever you might be. We hope to have helped you because as you can see calling privately is not as difficult as it seems and it’s our intention to teach you to do it right. Website made by Francisco Lopez to hide the number of readers’ cellphones and landline phones.